Hi Gang, well, after nearly a year and a half, Mr. Jim Milks of "Innovative Custom Firearms" completed my compensated long slide 1911. 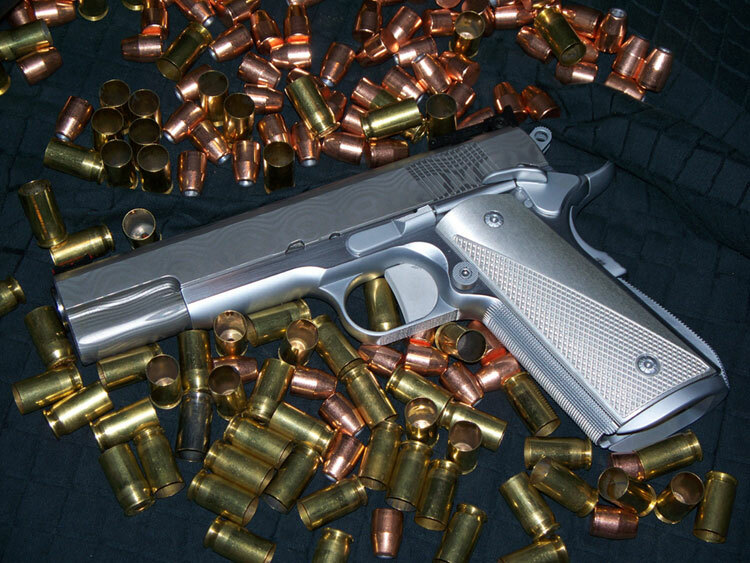 Having wanted the Marked for Death PSP07back in 90 but could not afford at the time, then came the Thomas Jane Punisher Colt and I decided to find a gunsmith who could build my dream pistol. I found Mr. Milk's via a You Tube video and the rest is history, he after a long discussion came up with a hybrid of the two pistols and blended both into what you see here in pictures. Mr. Milks is a true visionary as this pistol is a work of art, the balance, the lines, the Ion Bond finish just cannot be fully appreciated in pictures, seeing it does it justice. Welcome to Innovative Custom Guns, LLC. Full custom guns, repairs, and gunsmith services.